Gov. Terry McAuliffe and Mayor William D. Sessoms, Jr. led a groundbreaking ceremony in Virginia Beach for the new Jones & Cabacoy Veterans Care Center in Virginia Beach in November. 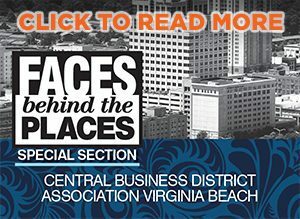 The 128-bed state-of-the-art facility, expected to be completed in early 2020, will be located in Virginia Beach’s bio health corridor on a 26-acre site near the intersection of Nimmo Parkway and West Neck Road, on land that was donated by the City of Virginia Beach, at no cost to the state. The Jones & Cabacoy Veterans Care Center will join other existing partner organizations that are part of the VaBeachBio initiative, which seeks to attract biomedical and healthcare businesses to Virginia Beach while creating jobs. The center will feature an on-site laboratory, x-rays, physical therapy and other ancillary healthcare services. Military veterans treated at the facility will have private rooms organized into households surrounding a central community center. The Jones & Cabacoy Veterans Care Center is named after Colonel William A. Jones III, a Norfolk-born air commando who received the Medal of Honor in 1970 for his service in the Vietnam War, and Sergeant Christopher F. Cabacoy, a Virginia Beach native who died in 2010 while serving in Kandahar, Afghanistan during Operation Enduring Freedom.